The much-anticipated new entree in the Sebastian St. Cyr "simply elegant"* historical mystery series, from the national bestselling author of Who Buries the Dead and Why Kings Confess.
" Both an engrossing tangled mystery and astonishing tale about a tragic search for identity.An excellent choice for St. Cyr fans and readers of historical mysteries "Library Journal"
Praise for "Who Buries the Dead"
This riveting historical tale of tragedy and triumph, with its sly nods to Jane Austen and her characters, will enthrall you! 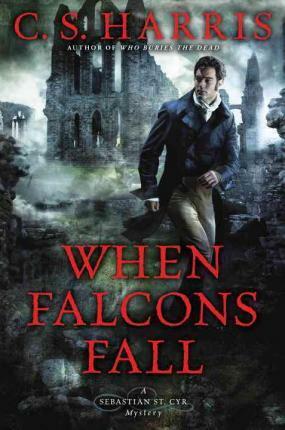 Sabrina Jeffries, "New York Times" bestselling author of "How the Scoundrel Seduces"
The solution, one of Harris s trickiest, will appeal both to fair-play fans and those interested in a vivid evocation of the period. "Publishers Weekly""
C. S. Harris is the national bestselling author of more than twenty novels, including the Sebastian St. Cyr mysteries, featuring Who Buries the Dead, Why Kings Confess, and What Darkness Brings; as C. S. Graham, a thriller series coauthored with former intelligence officer Steven Harris; and seven award-winning historical romances written under the name Candice Proctor.